Scamware, Scareware - BEWARE! 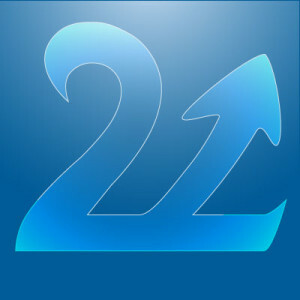 - Two Up I.T. The influence for todays post comes from the Facebook Advert shown above. When using “reputable” sites, we expect the site owner to look after us. Of course, that’s a false expectation – a site owner using advertising as a revenue stream is really only protecting one thing: Their bottom line. Instead of scaring you into providing a fiver, I hope to encourage you to send Me a fiver, or make a £5 donation to a local animal shelter. I shall honour anyone who does either! 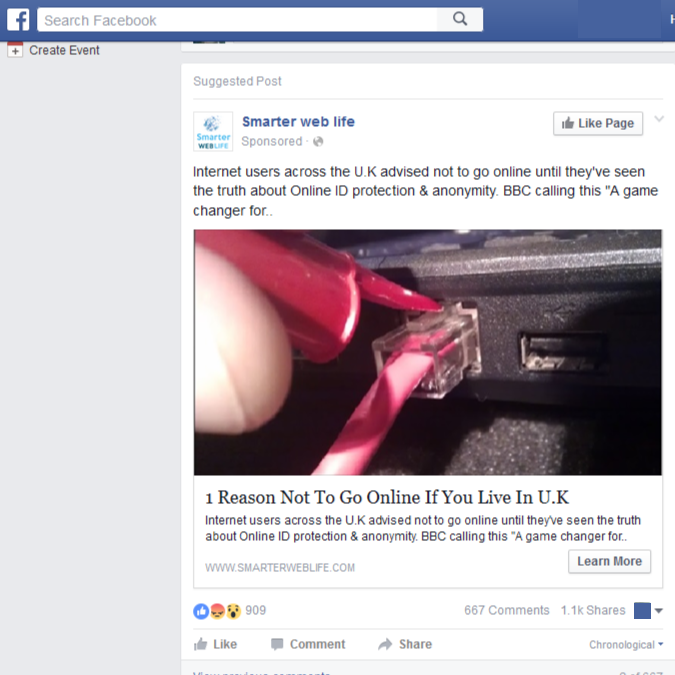 When these “adverts” are removed after complaints, you can guarantee that Facebook aren’t returning any revenue. At the end of the day, the only person who ends up hurt is the person who fell foul of the scam. In this case, you are being offered “Online security” “protection”; “for just £5 to get the pro version.” To “provide” this “Pro” “Online security” “Protection”, you only need to pay £5 per month. To provide that £5 per month, you also need to provide all of the necessary details for identity theft / card fraud. There is an important second element to this tactic – they are building a sense of trust. It is all there in the language. Subtle psychology gently working a hand into your wallet. The advert itself is generating a referral to a third party, who are providing £5 per lead to the advertiser referring you. In the end, you are being offered a “VPN Service”. This is providing a thin layer of anonymity to your browing (Given a small amount of time, that layer can be removed). Nothing more, Nothing less. That’s not providing “pro” anything. The advertiser make £5 for their misleading advert, and the service provider make money for a service that doesn’t do what you have been told it will do by their referrer. Complicated, but profitable. The referrer makes around £3.50 for their advert, the “security provider” make £55 in the first year from your “subscription fee”. Given their service doesn’t really provide what you are being sold, would you really trust them with your security? If you want to be safer online, have different usernames and passwords for each site you use, don’t allow sites to save your Card details, don’t allow sites to save your address details. And don’t believe any advert that seems too good to be true. If it seems too good, it is too good! If you need a real Secure Communications Platform, or Secured Environment, get in touch. It will cost more than £5/mo, but it will work, and it will be reliable.